When we say in our mission statement that we wish “to love and serve the Lord,” we commit ourselves to the kind of challenging, ongoing study that stimulates our minds and hearts and helps us grow in the knowledge and love of God. Sound Christian education is thus essential to living out our mission. At St. George’s, education takes many forms. We believe it is important to provide a solid foundation for Christian Formation with our youth. 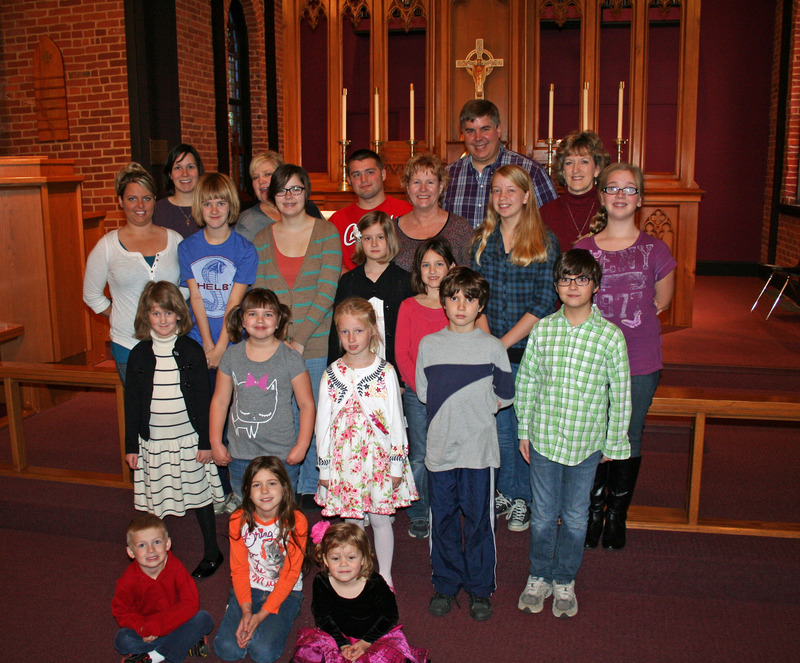 Children’s Sunday School is available September through May. All ages meet together at 9:00 AM in the chapel for a Gathering of Song. Childcare is available for children up to 6 years of age in the Nursery. ▪ 6th– 8th Grade: Living the Good News curriculum. Confirmation is available to Junior High aged Students and older. See the rector for more information about Confirmation Preparation Classes. Our curriculum was carefully chosen to help deepen the spiritual understanding of our Christian faith. Children begin by learning Godly Play during their preschool years. Each week during Godly Play, children hear God’s word, as told by a storyteller. Children hear our sacred stories, parables, and liturgical lessons. Additionally, they learn the value of silence when listening for God. After each story they are invited to Wonder. During this Wondering portion of the lesson, children are asked questions to see where they fit in the story they just heard. Children are then given an opportunity to respond to the Story by creating a self-directed art project, journal, or even by retelling the story using the beautiful felt and wooden manipulatives. Finally, the children have a small feast before the completion of the class. As the children move into 6th grade we begin to learn with Living the Good News. This curriculum is Lectionary based. It allows the students to be taught about the readings they have heard or will hear that very day in church. The curriculum allows the pre-teens and teens to take a deeper look into the stories they have heard in the Godly Play classroom. Students will be able to use the language learned as a young child to discuss the readings. For more information please contact Mae Scott at stgeorgeweedragons@gmail.com. St. George’s young people have been involved in Happening, a vital renewal ministry for high school youth, since its beginnings in the Diocese of Springfield. Happening weekends occur twice each year, providing a profound experience of unconditional love, Christian community and spiritual formation for all who take part. The youth plan, organize and direct the weekends, with help from adult sponsors. Happeners themselves provide the most compelling testimony about the meaning of this experience, but parents are fervent believers as well. More information: Joe Hooten, 235-7290 (jhoo10@aol.com).